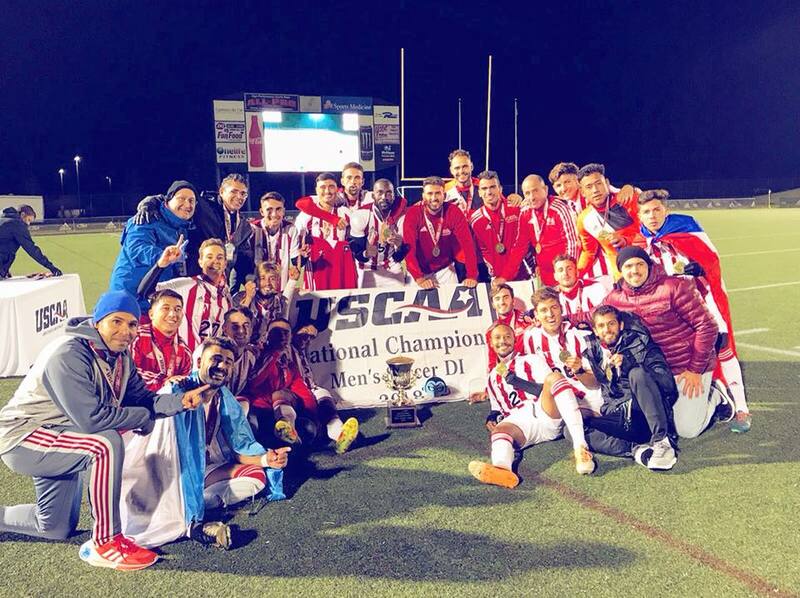 Florida National University Head Men’s Soccer Coach Fernando Valenzuela capped off a stellar 2017 season last year by going undefeated the whole season and winning the USCAA national championship for the first time in school history. Back then he said that was one of the best teams he had been associated with. But as if it wasn’t enough, in 2018 Valenzuela wanted more of the same as he began the season and again opted to play one of the most difficult schedules in the nation, traveling to Kentucky, Texas and California to play some of NAIA top 25 teams. Along the way the Conquistadors posted a 15-1 record during the 2018 season. But that wasn’t the only thing, something special happened and the team became a family, a melting pot of many nations; USA, Argentina, Brazil, Chile, Paraguay, Colombia, Uruguay and Angola. They created a true bond among themselves that he had not seen in the past and he believes that is the real reason why they have been so successful this year. 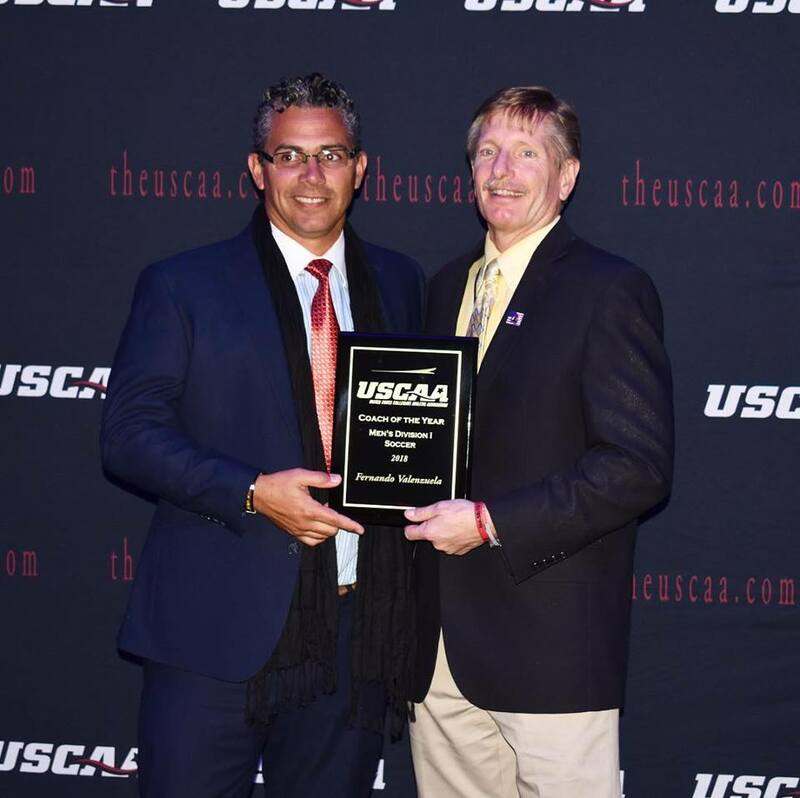 His players received individual awards across the board for their accomplishment on and off the field and Fernando Valenzuela was named the USCAA Coach of the Year for the 2018 year, coach Valenzuela said “being recognized by a national body of his peers, he says, was even more of an honor, but this was all thanks to his players…they made this happen, without them all this would not be possible” He also thanked his family, his wife and 3 children for putting up with the long hours a coach sometimes needs to put in. 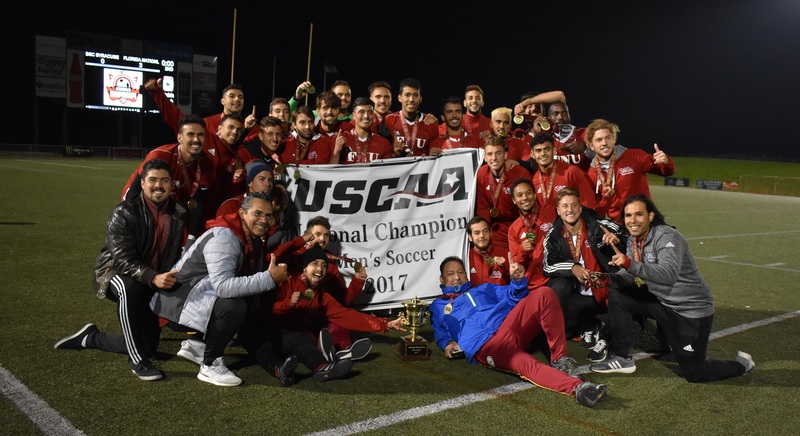 Then again, once more this year on Sunday November 11, 2018 at 5pm ET The Conquistadors men’s soccer team captured their second straight USCAA Championship trophy in a row. As they defeated Bryant Stratton College 1-0 in the finals. With over 24 years of experience Coach Fernando Valenzuela brought an abundance of knowledge, passion and experience to the FNU Soccer program. Before taking over at FNU as the men’s soccer coach, Coach Valenzuela was the Head Coach at Florida Memorial University. In 2008 he implemented and began the first ever Men’s soccer program at FMU. Four years later, he had 2 double digit win seasons and in 2012 led the team to Conference Champions where they received an automatic bid to the NAIA national tournament making FMU one of the top teams in the Sun Conference and one of the top teams in the nation for the following years to come with a 2014 30th nationally ranking and as high as 18th in the nation in 2015. Now all this was accomplished while having almost next to no athletic scholarships at all and no soccer facilities of their own to play or practice. But among all the winning and national rankings his biggest accomplishment was in the classroom where in 2015 he had 15 Academic All-Conference men soccer players and in 2014, he had 16 of the men soccer players recognized by the conference while receiving the academic all-conference award for having a 3.5 GPA and above. In 2014, they were also the number one soccer team in the nation with an overall average GPA of 3.75. 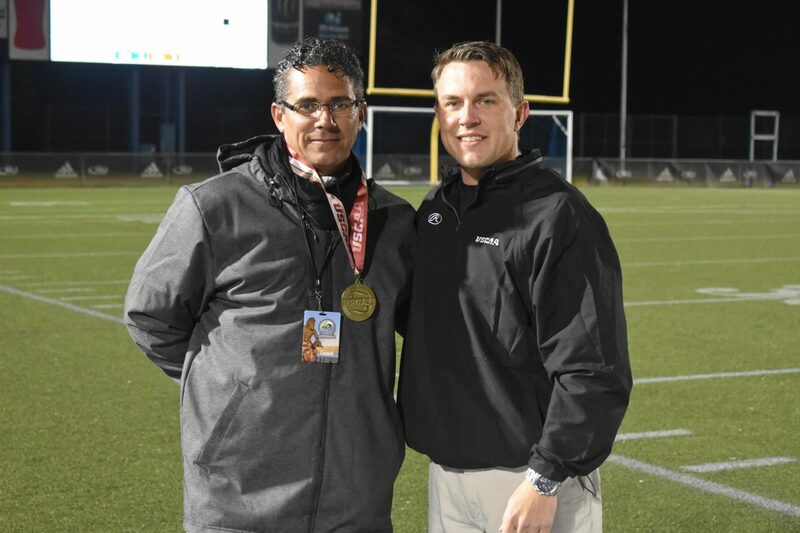 Before FMU Valenzuela coached for cross town rival St. Thomas University’s Men’s Soccer team where he also led the STU Bobcats to being ranked 19th in the nation. He also coached at several elite competitive soccer clubs in the south Florida area, as well as different boys high school teams. As a player, Valenzuela has achieved what all young soccer player’s dreams of, playing in college and professional leagues. He went on to be a standout player for NCAA Division 1 Top 20 School, University of South Carolina College of Coastal Carolina. After graduation, Valenzuela moved to Argentina to play for Defensores De Belgrando (Argentine 2nd Division.) and later had a short stint with Club Atletico Independiente (Argentine 1st Division). When he came back to the United States in 1993 he played with different USISL clubs such as Coral Springs Kicks, Boca SABR, Miami Stars, and Ft Lauderdale Strikers. During those years there was no professional leagues here in America that’s when he began his coaching career in 1994, while still playing for these semi-pro teams. Valenzuela is very thankful to Dr. Maria Regueiro for trusting him and giving him a chance with this project. He also wants to thank his wife Wendy and their three beautiful children,Fernando Antonio, Gerardo Luis and Alexandra Elizabeth for putting up with all the long hours.